In less than two decades you, and millions of other poker players, have helped us reach milestone after milestone on PokerStars. 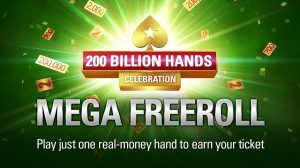 Now the PokerStars odometer is about to tick over to another milestone: 200 billion hands. The stories intertwined with those are impossible to tell. Whether it was picking up the blinds and antes, or winning a major tournament, each hand meant something to someone. And over the years that story has been our privilege to tell. 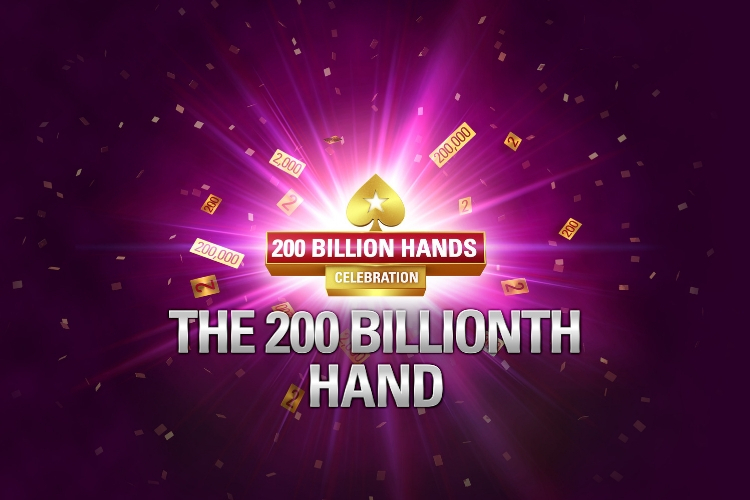 So, while we watch that 200 billionth hand approach, we want to reward as many players as possible who got us there. Here’s how you can be a part of that. To mark the occasion, we’ll be having two weeks of festivities ahead of this milestone hand. Every day you can earn a free spin simply by playing one hand on PokerStars. Those spins could earn you a variety of prizes, including up to $2,000 cash. We’re also giving away tickets to what we’re calling a Mega Freeroll, with a prize pool of $200,000. All you need to do is play a single hand of poker over the next two weeks. Do that, and you’ll receive your freeroll ticket in a rewards chest. And then there’s the 200 billionth hand itself. If you’re one of the players dealt into that hand, you’ll automatically win $10,000. Regardless of the outcome of the hand. We’ll also be delivering surprise chest drops during tournaments and cash games. For instance, you could suddenly find the blinds in your cash game multiplied by 20. And if you’re familiar with Spin & Go’s, we have those too. They’ll be the biggest we’ve ever held. 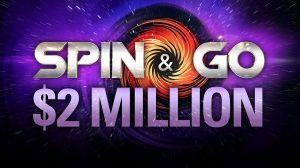 A $2 million jackpot for a $5 buy in – with countless spin ups in between. Those are the details, but they’ll be more promotions and giveaways announced between now and that 200 billionth hand. We’re the first poker site to get that far, something we find incredibly humbling given that it is all thanks to PokerStars players like you. Whether you play high stakes, micro stakes, or just for play money. It’s as much your achievement, as ours. That’s thanks to you, our players. So, check back on the blog for more over the next two weeks. And be sure to follow us @PokerStarsBlog on twitter.